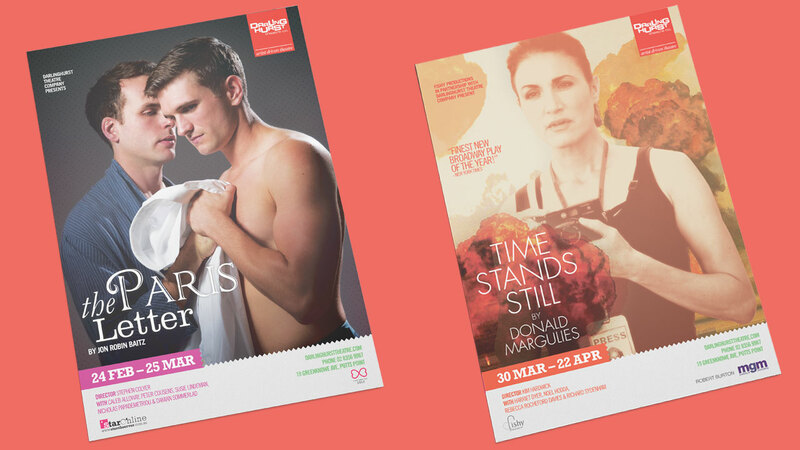 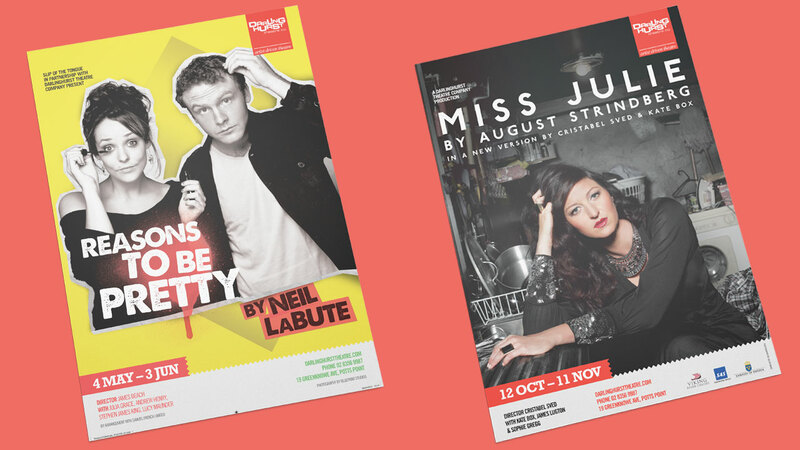 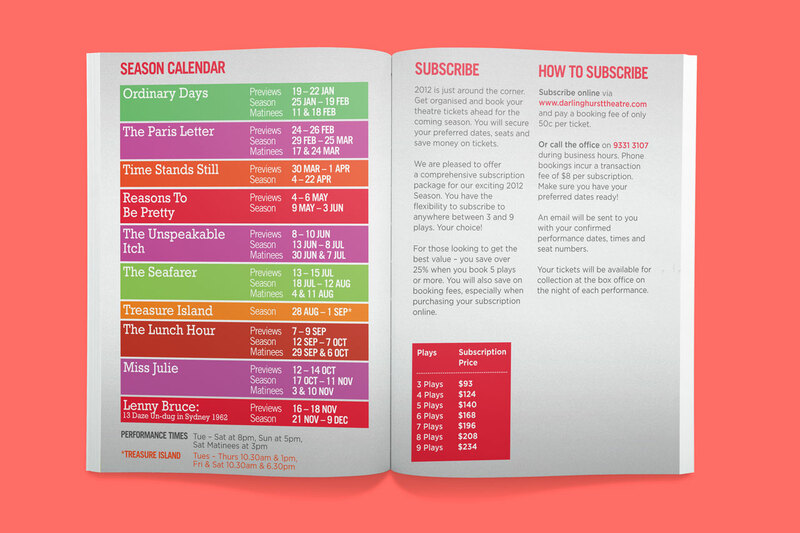 Continuing on from Season 2011, we worked with Darlinghurst Theatre Company on branding and marketing materials for Season 2012. 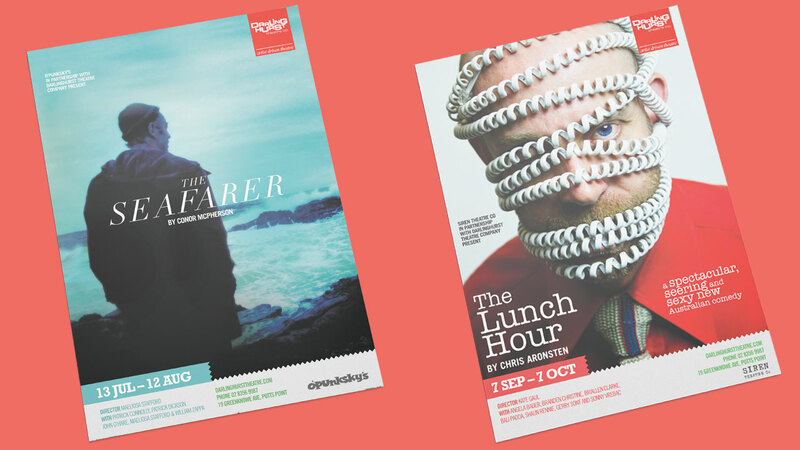 As with previous seasons, the main goal has been to create an unique and unifying visual brand for Darlo that highlights its various productions yet still privileges the imagery introduced by each co-op company working with Darlo. 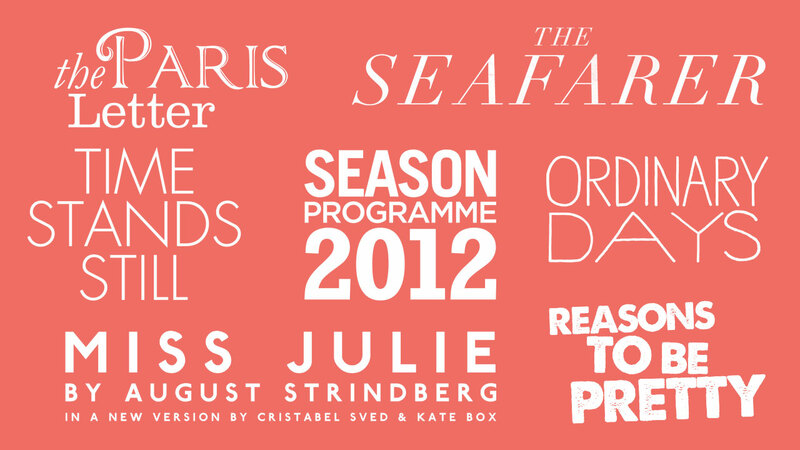 For this season, a refreshed colour palette and type treatment has been introduced to provide a lighter and more playful tone. 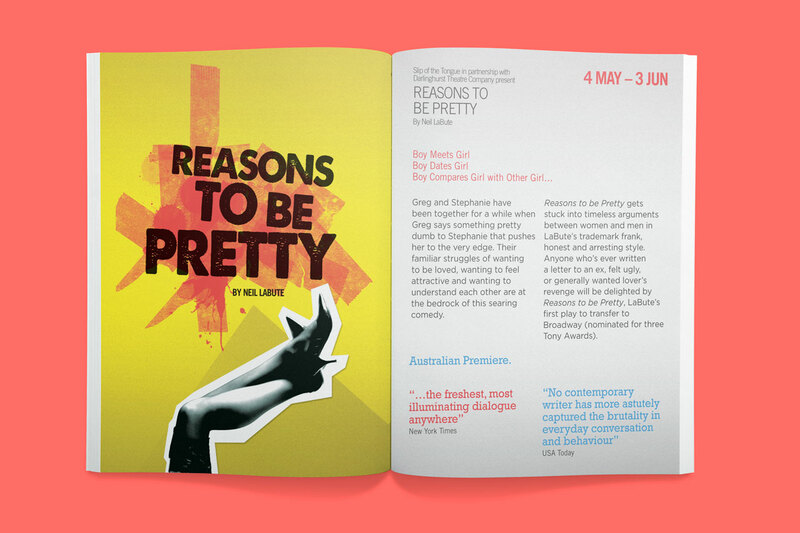 Individual shows are given more flexibility with distinct type treatments, allowing colours and a graphic family of assets to be used as a means to unify all shows under the Darlinghurst Theatre Company moniker of ‘artist driven theatre’.